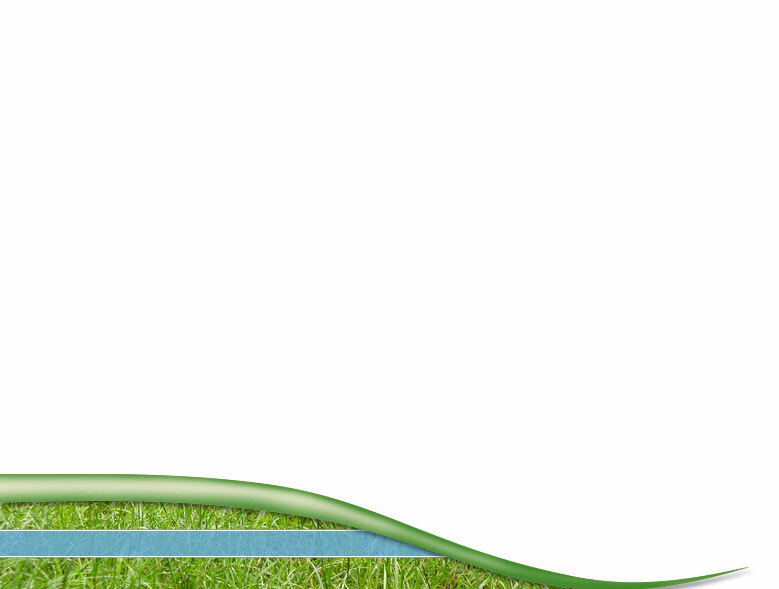 Do it yourself is only for contractors who are comfortable with the installation process. It is not recommended to regularly home owners. How many pieces do I need for my job? First, make a sketch of your kitchen. The seams will be joined at the corners at 90 degrees. If you require further assistance, send us your kitchen layout and one of our associates will able to provide you with the suggestions for the design and planning. The kitchen layout should indicate all the locations of the appliances. The above diagram is only for your reference. Every kitchen is different, and some of the instructions may not be applicable to your situation. 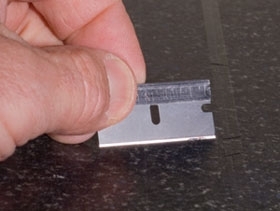 Are the following instructions all that is needed to install countertops? No. We will provide you face to face instructions on how to install the granite or quartz countertops for your project including how to install the seams. Some of the following instructions may NOT be suitable for your application, as each kitchen is unique. How do I prepare my cabinets for Granite countertops? 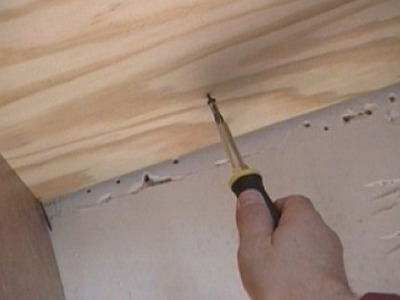 Although not necessary, it is recommended that you apply 1/2" to 3/4" inch plywood as a sub-counter to the top of your cabinets to support the granite or quartz. This will add support above appliances such as dishwashers and compactors, support holes for sinks and cooktops and also help support small cantilevered ends and breakfast bars. The countertops can be glued to this plywood surface using glue PL700 or expoxy. The other advantage to plywood is that you can level the countertops much more easily without moving them once they are in place. In any event, if you are using Ikea cabinets, you will need to raise the granite or quartz countertops 3/4" inch to clear the built-up edging of the prefab countertop. One side of my counter has to be made up of two sections of countertop. How is this done? 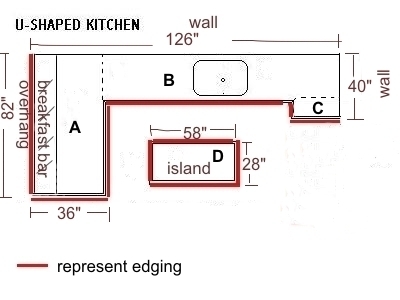 In all L-shape kitchens, there will be a seam. The seam will be joined at 90 degrees, and glue together using matching color "epoxy".The excess of the expoxy glue can be removed using a razor blade. It is important that the two countertop pieces be at the same level. This is accomplished by driving screws up from inside your base cabinets, through the 3/4" inch plywood sub-counter, to raise or lower the piece of counter. We can provide you the matching color epoxy for your particular job. How to carry the stone countertops? 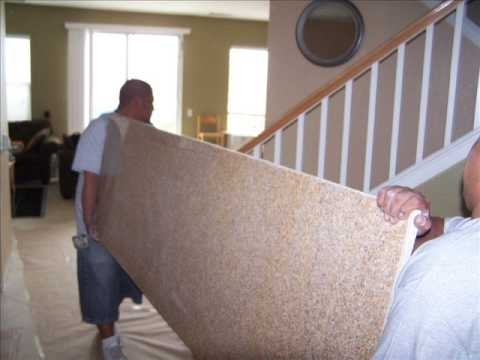 Please remember that granite must be transported and handled in an upright position like you are carrying glass. In other words, the stones must be carried vertically. If you carried the stone horizontally, you will slap the stone countertop in half. How to transport the granite or quartz countertops? 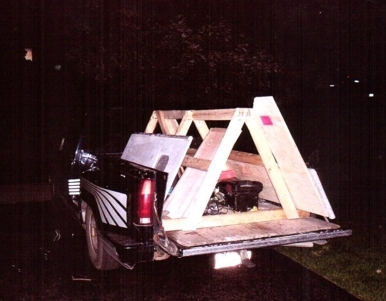 The best way might be to make a support stand out of 2x4s that will go in the back of the pick-up, long enough to support the granite. Just build 3 triangles and connect them together to make the stand. Bring 6- 8 clamps for the sink hole. Bring 2 metal bars for front and back of the sinkhole cut out. The bar should be at least 3'. 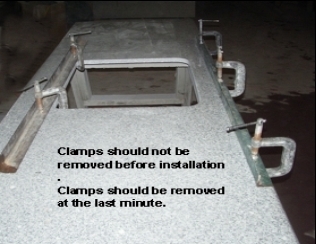 You need to strap the granite tops securely to your truck or van. If you have any additional questions or need further assistance, please contact us and one of our installers will able to provide you with the answers and advice on how to transport and install your stone countertops. joined Steven and Chris to talk and share her kitchen renovation survival guide, including her island granite top from City Home Granite Depot. Click on MORE to find out. If you're in the market for a new premium countertop surface ... Click on MORE to find out. New Quartz Colors - For people looking for quartz countertops, this is great news. We will be having few more colors in the fall 2010 and throughout year 2011.